July 4, 1986: Amerigo Vespucci at New York during the International Naval Review. July 4, 1986: Amerigo Vespucci seen from USS Iowa BB-61 during the International Naval Review at New York. 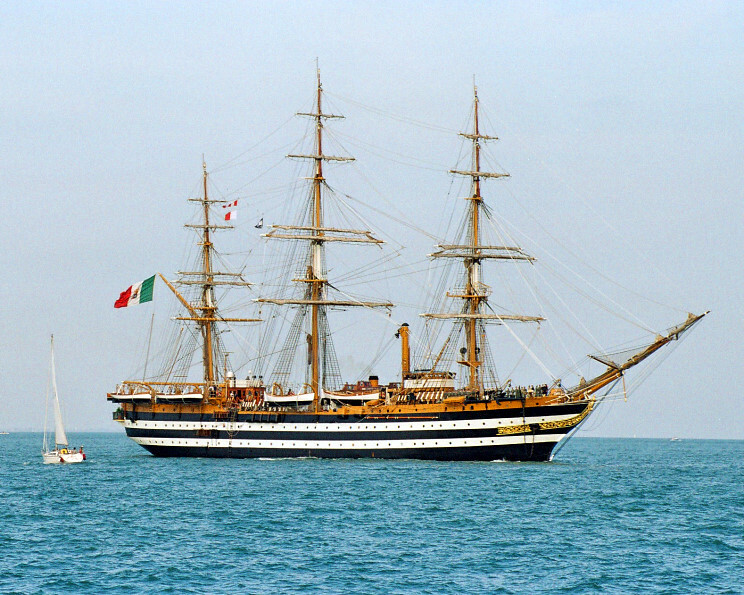 June 6, 2005: Amerigo Vespucci seen at Spithead. 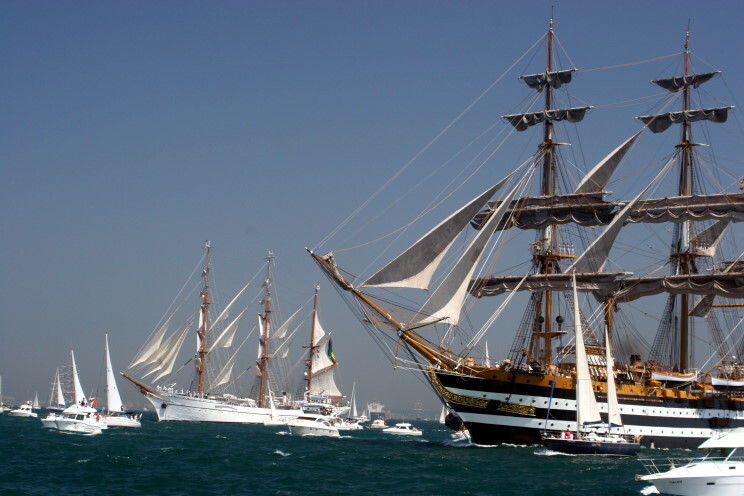 July 29, 2006: Amerigo Vespucci and the Portuguese ship Sarges seen in Cadiz, Spain.